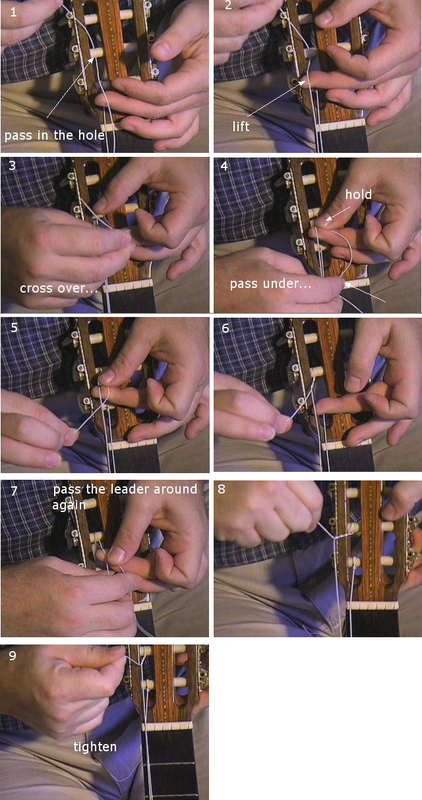 This is the most efficient way to string a classical guitar. I have only been perfecting this method with the years. I recommend you put a cloth or cling on plastic right above and below the bridge to prevent the strings to damage the finish during manipulation. If you do not use ball end strings, make a knot at the end of string 1. I can only start counting how many times this string snapped during the tensing phase damaging the lacquer.